Dogs and cats are the most popular pets in Japan. Many families have them inside the house or in the garden. When you walk in the street, you often come across people who take their dog for a walk. After you watch some dogs closely you will think “What’s that?!”. 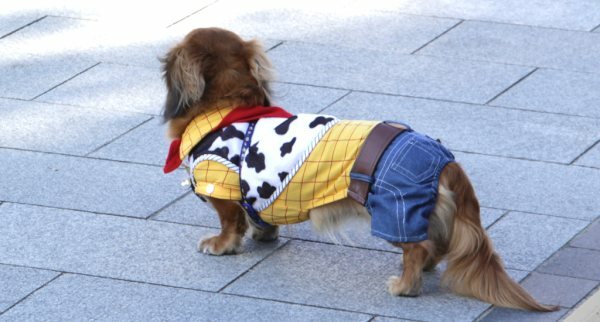 The dogs are actually wearing cute clothes. Some of them are wearing ribbons. When you look at the owners, they have a look on their face that proudly says “My dog is the prettiest”. 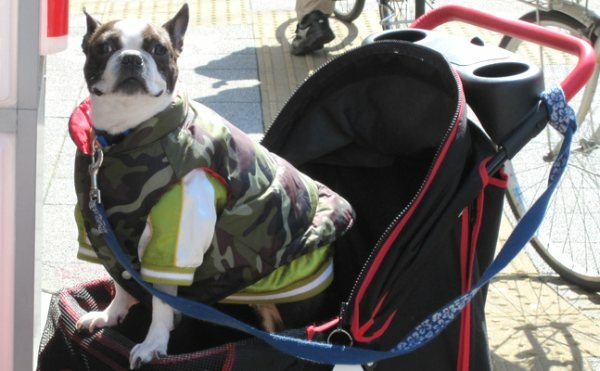 In addition, people who adore dogs more have a stroller for them. The other day, when I went to the park, there was a couple pushing a stroller. 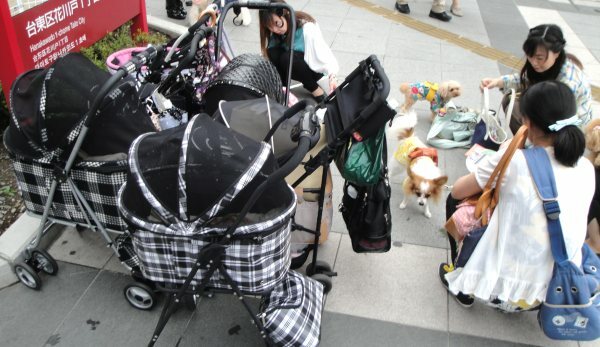 However, there was no baby in that stroller, the couple was just playing with their dog. And then, they grabbed the dog, put it in the stroller and went home. Dogs don’t need to wear clothes, they can walk by themselves. I can’t help but feel this way when I see people who adore dogs so much. But for them dogs are not pets, rather they are a member of the family, they are just the same as children. Recently there are more and more young women who don’t have a boyfriend and are busy taking care of their dog. Some people say that this kind of women who are way too much crazy about their dog will miss the chance to get married. The persons who are tired of human relationships are healed by their animal which will never betray them and love only them, maybe they get the strength to live from their pets.